Ink & Pixels ends this coming Saturday (26th November). The exhibition was curated by Louise Quirion and has been a great success – it was billed as the number one thing to see in Dundee this month! This free exhibition is an opportunity to discover (or re-discover) Dundee’s comic scene! From The Beano to Treehouse, and all points in between. Humorous comics, serious comics, big and small, drawn with ink and pixels… This exhibition highlights contemporary graphic creation in Dundee. 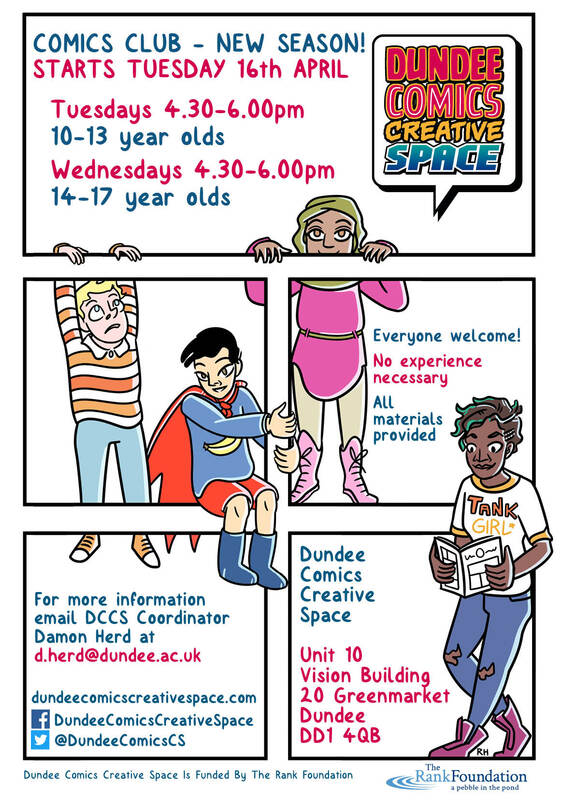 It also offers the chance to see comics by the next up-and-coming generation of comics makers – the DCCS Comics Clubbers! Curator Louise Quirion will be on hand on Saturday to talk about the exhibition and provide information about the comics and artists. Open 12 to 6pm in DCCS HQ at Unit 7, The Vision Building, 20 Greenmarket, Dundee, DD1 4QB. Look out for details of our next exhibition coming soon! Posted on November 24, 2016 November 29, 2016 by dundeecomicscsPosted in dundee, exhibitionsTagged comics, Comics Club, dundee, exhibition, ink, pixels, terrier comics, treehouse. 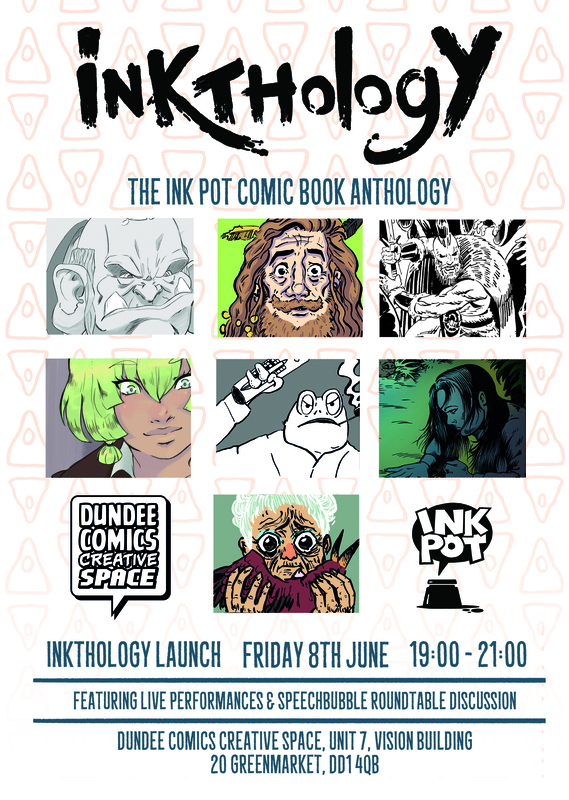 Next week come along to Ink & Pixels our new exhibition at Dundee Comics Creative Space – discover or re-discover Dundee’s comic scene! From The Beano to Treehouse, and all points in between. Humorous comics, serious comics, big and small, drawn with ink and pixels… This exhibition highlights contemporary graphic creation in Dundee. You are warmly invited to the opening event at 6pm on the 17th of October, including a comic market organised by PopDundee, numerous artists will be present and refreshments available! Posted on October 12, 2016 November 24, 2016 by dundeecomicscsPosted in Events, exhibitionsTagged beano, comics, dundee, exhibition, ink, pixels, terrier comics, treehouse.